On 13th July 2006 select mining landscapes across Cornwall were inscribed as a UNESCO World Heritage Site, placing Cornish mining heritage on a par with international treasures like Machu Picchu, the Taj Mahal and the Great Wall of China. Located in Pendeen on the dramatic Cornish coastline, Geevor Tin Mine is one of the largest preserved mine sites in the country. Housed in two acres of listed buildings, Geevor’s collections and guides bring the story of Cornwall’s rich industrial past to life. 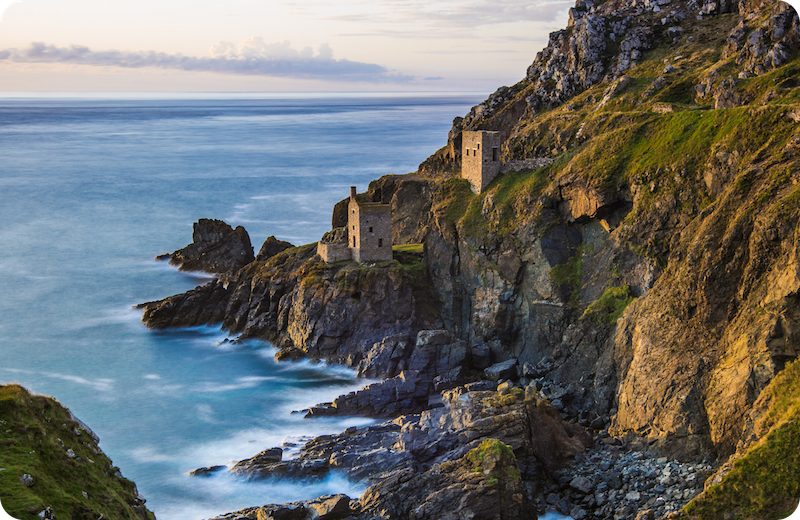 Built during the 1860s at the height of the Cornish mining boom, the Count House at Botallack stands on the cliffs near the Crowns Mine. It was the hub of the day-to-day running of the mine and also where the miners collected their pay. Botallack was also a recent location for the BBC series Poldark. In its dramatic clifftop setting Levant was, for 110 years, ‘the queen of Cornwall’s submarine mines’. Today, the surviving buildings and ruins offer a window on another world where men and women toiled to extract the riches of the earth from beneath the crashing waves.